Last year, something strange happened to me. I challenged myself to swim, a lot. 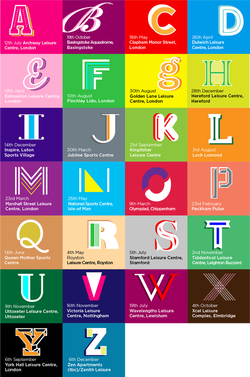 I found that I ...quite enjoyed it and so I have made the totally natural decision to follow on from this, and therefore, in 2014 I will be swimming 2 miles, in one visit, at a swimming centre/event for each letter of the alphabet. A - Z, I will be there, churning away the lengths and hopefully getting as many people as possible involved in the process.